Product prices and availability are accurate as of 2019-03-31 18:38:55 UTC and are subject to change. Any price and availability information displayed on http://www.amazon.com/ at the time of purchase will apply to the purchase of this product. This Listing Is For A 100 Piece Hooked Blade Dispenser. The Heat Treated Steel Blades Fit All Types of Utility Knifes. The Hook Blade Is Ideal For Cutting Flooring Such As Linoleum And Carpet And Is Also Used In Roofing. 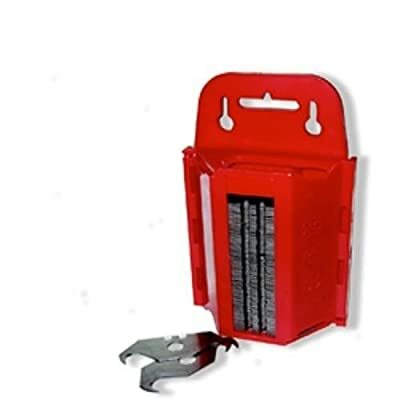 This Dispenser Provides Safe Storage While Keeping Blades Readily Available For Use.